We have a line our young beach and birch trees that are pioneering our field. When we first moved to Maine, our field had been kept cut. We stopped that practice. One benefit was the blackberry briers that sprouted. The other was to watch the forest reclaim the land. 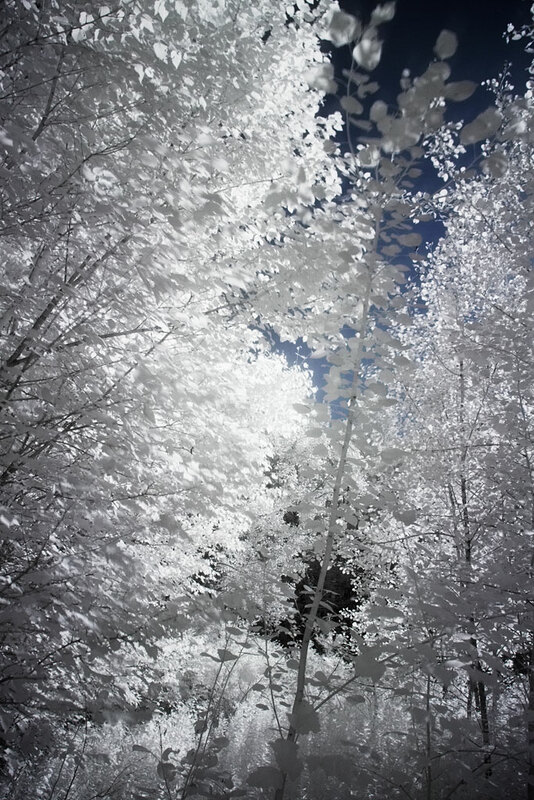 This image was taken in the near infrared, which gives the foliage its radiant appearance. Click on the image for a larger view.